I don’t know about you, but I am contemplating having my rooftop snow removed by experts. The pile of snow is starting to be worrisome, and when I had it done once before by someone just knocking on doors in the neighbourhood, I was left with a mess of snow on the sidewalks and a broken shrub. It’s not an unusual situation – when can we do something ourselves, or have a random person do it, and when should we call on the experts? And when the experts are having problems solving the problem, what’s next? In that vein, it’s been quite a year for those of us at the Temple who run things on a daily basis. Ruthie, Steve, Phil and I as well as the teachers, students and parents of the Irma Penn School of Jewish Learning; Rabbi Tepper, Cantor Len & Janet Pelletier-Goetze; all have been gracious about being displaced from their spaces for some lengths of time. Of course our various renters, including Ruth Livingston who couldn’t use her space for almost a year, have also been very patient. The HVAC system is up and running, but with glitches that are not quite solved yet. And so we are back and forth with contractors and advisors, working it out as we go. Other parts of the project are either underway or will be in the spring. Thank you all for your support. I hope you can come to some of the events featured in this Bulletin. We are pleased to let you know that we have hired Neta Aviv as our Engagement Coordinator, and there are many plans afoot! Best wishes for an early Spring! As I look back on the year 2018, I have to say it’s been a fantastic year for Temple Shalom: the success of our Capital Campaign still amazes me. Our total to date is $756,000, which includes $85,845 in our Temple Shalom Endowment Fund at The Jewish Foundation. There are still fund requests out there, from which we are hoping to receive positive responses, but we have clearly had spectacular support from our congregation and the community. Thank you all from the bottom of my heart. We have a major announcement: we recently received a letter from Chesed Shel Emes funeral home, saying that effective immediately ALL Jewish individuals, from ANY congregation (or those who are unaffiliated) are welcome at Chesed Shel Emes. They will provide mortuary and ritual services (Shmira and Tahara) as preparation for an in-ground burial. This is a major policy change which came about after many years of discussion at the Chesed by members of the Temple who have been on the Chesed Board of directors, as well as other members of the Jewish community. Should members of the Reform community choose the services of Chesed Shel Emes, then 6 Jewish males will be required as Pallbearers at the Chesed Shel Emes. Should members of the Temple Shalom Reform community choose the services of Chapel Lawn Funeral Home, where our Beit Chaim Mikdash cemetery is located, then the Pallbearers (male or female) can be chosen according to the preference of the family, as accords with Reform Judaism practice. It’s been a long time coming, and we are grateful for this important change of policy, recognizing that the Chesed facility was supposed to be, is and always should be a place for all Jews in our community. For further details please contact the Temple Shalom office. I look forward to seeing you all in the coming months. Best wishes for a healthy, happy new year. As I sit at my desk today it’s very difficult to find appropriate words to write, in light of the attack on the Tree of Life / Or L’Simcha Congregation in Pittsburgh last Saturday. Most of the victims were elders; it’s so terrible for them to have lost the cherished senior members of that community. We will mourn for them and keep their families and friends in our hearts as we move on with our lives. As you review our calendar you will see that we have one of our monthly Torah services this week, and another one on December 14. We are enjoying the opportunity to have regular Torah services, lay led by Allan Finkel, who has kindly offered to help us in this way. I am grateful for his offer, and appreciate having the Torah as an important part of our weekly ritual more often. On November 7th at 7 pm at the Temple there will be a presentation by Chapel Lawn on Jewish funeral practices and services at our Bet Chaim, Mikdash Shalom. It will be worth your while to learn what is entailed in planning a funeral, to give you a clear idea of what to expect when the time comes. The presenters are well-informed, very thoughtful, and ready to help us in our times of need. Rabbi Tepper will give us an entertaining talk on Nov 8th, “Jews and Tattoos – the Good, Bad, Ugly and Beautiful” – sounds terrific. It’s at the home of the Huebners, always a lovely location (and good refreshments). Movie night is back! We will be showing “Crossing Delancey” on November 17. Join us for the movie, snacks, and stimulating conversation afterwards. Also, don’t miss our annual Hanukah potluck with homemade latkes! And the following evening there is a catered Hanukah party for adults, with supper, a re-gift swap and prizes. I’ve outlined a few of our activities which are also highlighted elsewhere in the Bulletin. As a member of our Jewish community, I encourage you to attend one or all of our events, to keep the Temple active and a part of your life. If you have any questions or ideas, I’m always available for coffee and a chat. Well I don’t think I’ll be taking the dogs for long walks this week – but we do still go around the block every day, no matter what the weather. It’s important to keep moving, keep connected to the community, to the neighbours and friends who are an important part of our lives. And now we’re past the winter solstice, so the days are already getting longer – hooray! I’ve been really enjoying the work we are doing at the Temple to let everyone know about the Capital Campaign, and to spread the big news that we have already raised over $400,000! This is a phenomenal accomplishment for our little shul, of which we can all be very proud. We are nearly half-way to our goal, and feeling confident we can reach it by the end of 2018. We are buoyed up by the success we have had so far, and it’s been tremendously rewarding to speak with members and non-members alike about what the Temple means to us all. As an integral part of the Jewish community, the Temple board and staff are constantly seeking ways to provide our congregation with what it needs; be sure to let us know if you have any ideas or requests for future programs. I’d like to take this opportunity to let you know that Rabbi Tepper has already agreed to return as our visiting Rabbi for a third year, from September 2018 through June 2019. This is such welcome news, as all who have been to services or events know of his commitment to Jewish learning and to reaching out to the community. This is also a good time for me to remind you that when Rabbi Tepper is here every month he is always interested in meeting with members of the congregation either at their homes, in hospital, at the Temple or somewhere else for coffee and conversation. His very kind, compassionate manner is a great comfort and inspiration to those who are having a difficult time, or who would just like to chat. Best wishes for a healthy happy New Year. The best is yet to come! Greetings. We have been very busy at the Temple, as always when it’s time for the High Holy Days, followed by Sukkot and Simchat Torah. I’ve heard from many of you about how you were uplifted by the music, prayers and readings, along with the gifted leadership of our clergy and choir leader. I certainly enjoyed seeing so many of you up on the bimah to participate in one or more of the honours – reading from the Torah, Aliyot, assisting in the rituals at the ark and with the Torot. I felt lucky and blessed to be in this congregation. In the coming months of November and December we have lots to look forward to: of course the Rabbi will be here from November 2-5, so we have the opportunity to spend time with him – Friday night there’s a Children’s Shabbat Service at 5:30 – don’t miss it if you can get yourself and your child/grandchild to the Temple – you’ll be glad you did. And of course the regular Shabbat service at 7:30. The Saturday evening program with Rabbi Tepper is always stimulating, and in keeping with our Capital Campaign launch the next day, on Saturday we’ll be discussing “A Home Away from Home” – please join us, bring your ideas and have a pleasant evening. Soon we have our Peace Service on November 10th, followed by Phil Spevak’s presentation of “4000 Years of Judaism with Music and Humour” on Nov 18. 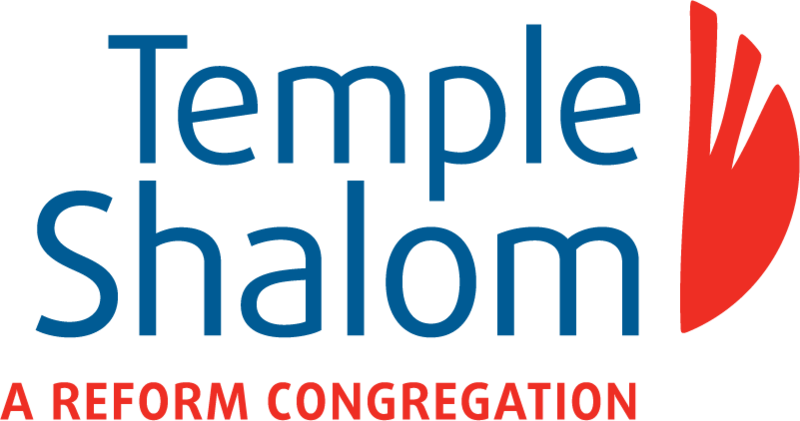 I’ve been thinking about the many special aspects of being a member at Temple Shalom. We are lucky to have Rabbi Tepper leading services for the HH Days and once a month all year, as well as working with our students, providing pastoral care, and guiding us with his influence and teachings. In addition, we have also developed an amazing cadre of lay leaders: congregants hear many new ideas and ways of looking at the weekly parashiyot from these volunteers. It’s a wonderful opportunity for growth for the lay leaders as well as the congregants; if you’re interested in leading a service sometime please let us know. We’d be happy to provide you with information about what you need to do. If you’d like someone who is experienced to co-lead with you, we can do that too. I do hope you can attend the Reaching Out Reaching Up Capital Campaign Launch on Sunday Nov 5, 2 to 4 pm. There will be a gathering in the Sanctuary for all the news about the campaign, then fun, food and friends in the Social Hall. We have Joy Coffee Bar serving great coffee, there will be lovely food of course, and refreshments. We’re planning for the future, and want to hear from you! Greetings to all of you. As the summer comes to a close, some of us are back at work, others are still dangling their feet in the lake, and yet others are in the midst of back to school preparations – it’s that time of year. I’m looking forward to the upcoming Days of Awe and the important holidays of Sukkot and Simchat Torah that follow. “How, despite your disappointment and bouts of pessimism, have you been able to cling to hopefulness? One must wager on the future. I believe it is possible, in spite of everything, to believe in friendship in a world without friendship, and even to believe in God in a world where there has been an eclipse of God’s face. Above all, we must not give in to cynicism. To save the life of a single child, no effort is too much. To make a tired old man smile is to perform an essential task. To defeat injustice and misfortune, if only for one instant, for a single victim, is to invent a new reason to hope. Just as despair can be given to me only by another human being, so too can hope can be given to me only by another human being. Peace is our gift to each other. For the sake of our children and theirs, I pray that we are worthy of that hope, of that redemption, and some measure of peace. Do you still have faith in God as the ultimate redeemer? I would be within my rights to give up faith in God, and I could invoke six million reasons to justify such a decision. But I don’t. So my friends, we continue to live our lives while keeping in mind that we can make a difference in the world every day: by striving to treat others as we wish to be treated ourselves; by standing up for justice and against hate; and for doing our best to repair the world – Tikkun Olam. When we come together as a community we can enlighten and encourage each other, as well as provide physical and spiritual sustenance to those around us. I look forward to seeing you at the High Holy Days, and throughout the year at Temple Shalom: a welcoming, dynamic community that lives Judaism. L’Shana Tovah u’Metukah – I wish you a good and sweet year. Linda Freed.